Sharing with you how I do my eyes when I am in a hurry. If you guys are following me on Instagram and Facebook, you must have seen the pictures I posted of the beauty products sent to me by GlamGals for reviewing. Mini reviews have also been posted. Thanks to this awesome company, I’ve been introduced to another range of beauty goodies that I get to try and like. Liked or loved, that we will find out as I share my reviews. Unlike any other lip gloss I ever held in my hands, this surely was heavier. Normally, I barely feel I’m even holding anything but this one was screaming “Hello, I’m here!” The tube came in a silver box with all necessary details printed on like ingredients, labels, application tips, address, production/expiry date etc. The lip gloss tube is of very good quality plastic material, reminds me of my acrylic drawers. 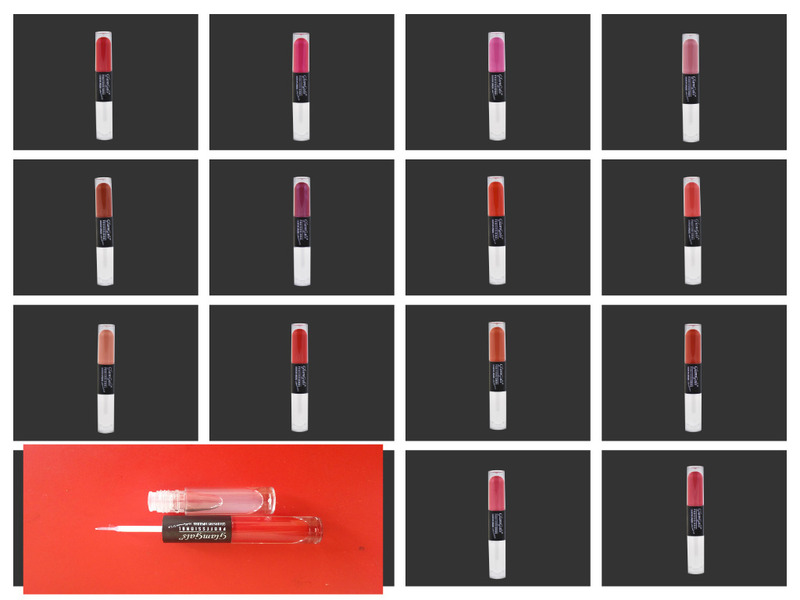 Since it is dual ended, one end has the colored lip gloss and the other end with the transparent one. What they say: Triple effects- Condition, Moisturizing and Long stay all day wear with 3D Diamond Shine. On one end, you get the colored pigment and on the other end is a transparent product that is supposed to moisturize your lips. 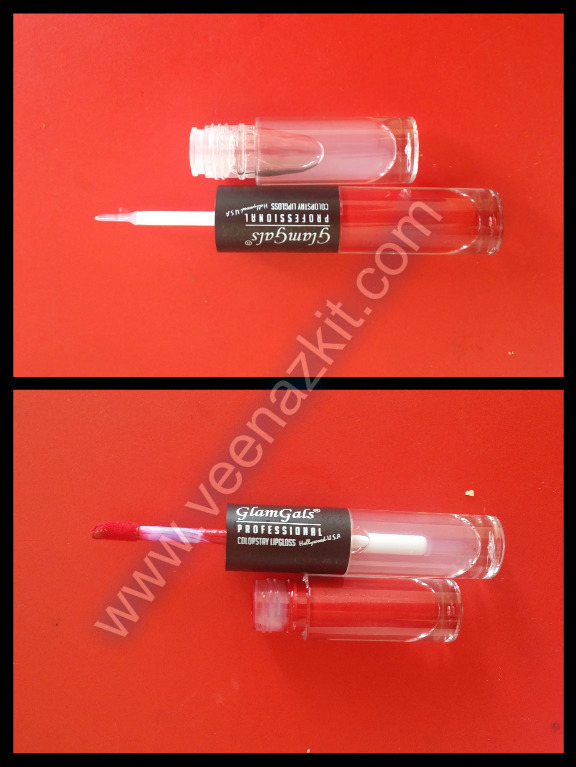 It is a beautiful red shade , the formula is perfect not too thick and not too thin, covers the lips’ own pigmentation, glides on very well and applies evenly. The transparent end of the lip gloss is a very shiny liquid which has exactly the consistency you need. How to apply: Apply the colored lip gloss on lips, wait for about 2 minutes then coat it with the moisturizing lip gloss. I wore only the lip gloss for 2 days, the whole day and it is very good on its own only. If you are a fan of matte lips, you will be happy with it this way. It is not drying and do not chap your lips. 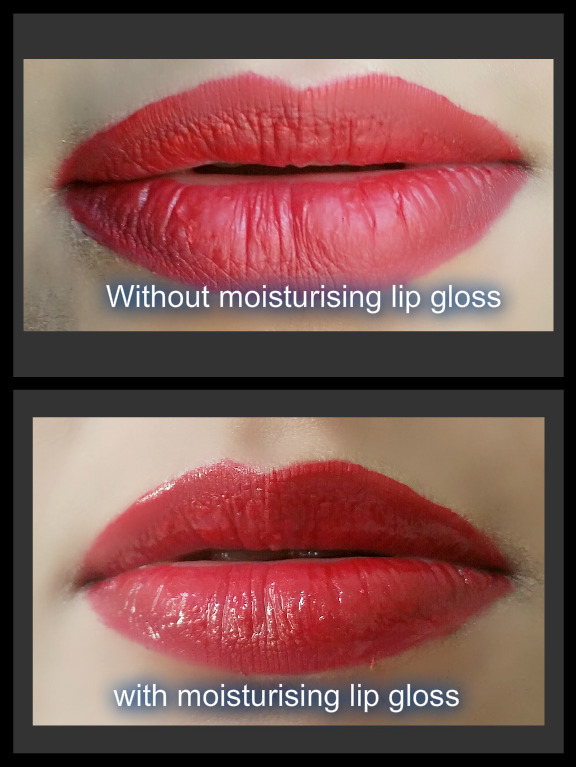 I was a bit skeptical using the moisturizing lip gloss at first as I thought the brush might pick most of the red color, but it actually did the opposite. 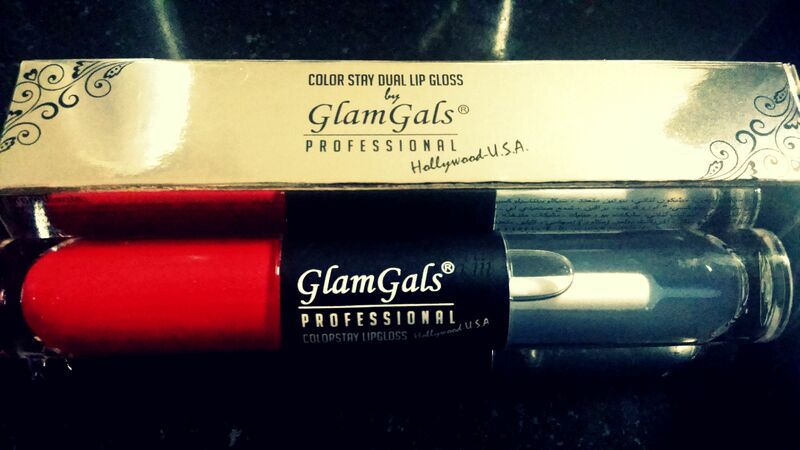 It was very easy to apply without smudging my red pigment and it actually felt very good on the lips. I felt it actually moisturized my lips at the same time giving my lips that non-overwhelming spark. 6)Sharjah City Centre (outside Ecity) – coming up next month . Check out the video and see for yourself the packaging.